Has your computer been infected with a virus, trojan or malware? Did it shut down or slow down your computer? Were you able to easily remove it? Recently my computer got infected with malware so I want to share what happened and how I resolved the problem so you can quickly resolve it yourself (without costing anything but time) by referring to this article. Login to the admin panel-settings-discussion-uncheck the box…”allow people to post comments on the article”. Keep in mind this will still allow visitors to post comments on future articles. You may ask “why would anyone would want to do this if they are running a blog…isn’t that what a blog is for..to encourage interactivity? Well, some of my clients don’t have the time or want to reply to comments.Other people want to use their blog as a static site and have all evidence of comments removed. 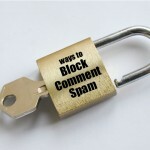 If you have other ways or plugins to remove comment spam leave add your comment to the bottom of this post. * Provides you with the blue print to building your very own Internet marketing empire even if you know absolutely nothing about marketing right now. on your Word Press Blog? 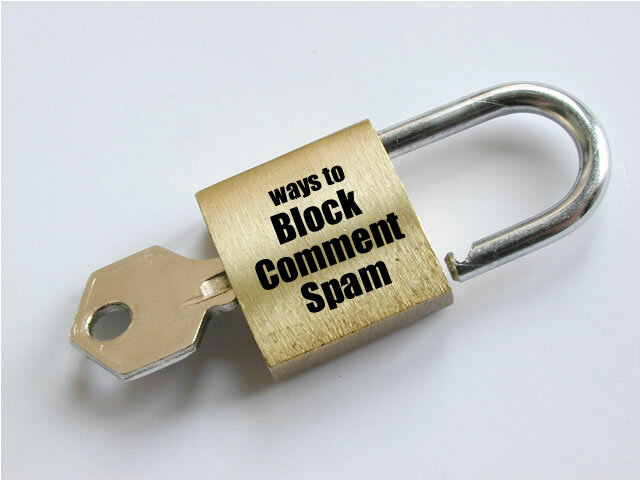 Recently I helped a customer that had accumulated over 4000 spam comments on her blog. She tried removing them from the Word Press dash board however it only removes 20 comments at a time. This would take forever because there multiple pages of comments to delete. This is the management panel that comes with your hosting account if it uses the Apache environment. Once you’re logged in cpanel click on the mySQL databases icon then click on the phpmyadmin link at the bottom of the page. This is located in the top left and will display all the data in tables. If you want to remove all comments check the wp_comments table then in the drop down box select empty then press go. Remember this will remove both approved and unapproved comments. 1. Back up your database – this is to make sure you can restore all your files should you make a mistake. To do this click on your database, click export, make sure all your tables are selected, check SQL, click save file, click go. Follow the rest of the screen prompts to download the database to your computer. You can save it as a text or zipped file. 2. Click on the comments table. ( You can click browse to view all the approved and unapproved comments). 5. Remove overhead. These are fragments still left in the database that must be removed. To delete them go to ” check all tables with overhead”, select “optimize table” from the drop down box. Your database size will now be reduced because you’ve removed the 4000 unapproved comments. If you check your blog you’ll notice all the comments have disappeared. To prevent spam from accumulating install the activate the Akismet plugin. This is a spam filter which allows you to mass delete comments within the Word Press administration panel. Recently I found Antivirus 2009 (a fake anti-malware application) on my laptop computer. Thinking it was a program one of my kids downloaded I went to control panel – add/remove programs but it was not there. This made me suspicious so I Googled “Antivirus 2009” and discovered it was a new rogue anti-spyware program. Once this malware enters your system, it floods your computer with popups and fake system notifications, supposedly to inform you of an infection. While your system may indeed be infected, Antivirus 2009 will inform the user of this regardless of whether it’s true or not. The point of this disinformation is to convince you that your computer is infected and need to purchase an antispyware program to dispose of the threat. Malwarebytes’ Anti-Malware can detect and remove this rogue application for free. Download the Malwarebytes’ Anti-Malware to your desktop. * When completed, a log will open in Notepad. The rogue application should now be gone. Don’t install an antivirus program before removing this fake anti-malware application. I initially installed the McAfee antivirus program because it comes free with my Comcast High Speed Internet service. I then scanned my computer but it did not detect or remove Antivirus 2009. You need to first remove it before installing your new Antivirus software. If you are not sure about downloading an application Google it first. You’ll quickly read if it’s fake or not. Note: remove periods for the above code to work. Third line – these are the fields that visitors are required to fill in. If not they will receive an error message and won’t be able to submit the form. Fourth line – shows that the email fields are hidden. This prevents spammers from accessing your email. Fifth line – this is the location of the email template you need to create for the form results to be sent to your email. Place this file on the same server as your Master Form Files. Sixth line – this is location of your thankyou page, where you send visitors after they submit the form. The other lines of your form will include the form fields and submit button. Make sure you do this correctly otherwise your form will not work. Once generated, the email is sent. An email template file is a plain text file containing the entire email, including the email headers.Master Form V4 is told where to find the email template file by a hidden field in the form named emailtemplate. If you don’t want the form submission to generate an email, just omit the hidden field. Using the email template, you can format the emails the way you want to receive them (or have them sent), with the data you want to see arranged in the way you want it. Make sure the fields are identical to the ones you have in your web form. Subject: Someone used the simple feedback form! This is the page that is sent to your visitors after they have submitted the web form. It confirms they have filled it out correctly. You can also use this page to send special offers or promotions ie a free ebook, report or download. Create a placeholder for it in your web form. Master Form v4 can generate an error page when it encounters an error during form submission. A generic error page is displayed if you don’t specify a custom error page. Create a hidden field to tell Master Form V4 where to find it. When your visitor incorrectly fills out the web form, he will automatically receive this custom error page. You can write anything you want on this page this inform your visitor what happened. The web form, thankyou and error pages are uploaded to the domain where you want the form located. Fill out all the fields of your web form and submit it. You should immediately receive the thankyou page (or error page if you made a mistake) and receive the form results in your email inbox. Master Form v4 is the most secure form I’ve found on the Net. It will also allow you to create database files for your records and create multi page forms. Purchase your copy of Master Form v4 NOW and say goodbye to form mail spam. Ban words and phrases that are inappropriate or are commonly used to spam forms. Define the maximum data size to limit the amount of information submitted. Do you get a lot of spam from the subscription or contact forms on your web site? This is becoming a serious problem for a lot of site owners but I have found a way to stop it completely. they were automatically generated by someone using software that searches for forms on the Net and submits them automatically. The spammer’s email is sent from your server to thousands of email addresses. With automation, the spammer can submit your form many times over. This causes a lot of frustration and anger from site owners using forms. I’ve used this script extensively for many sites and had no problems because you don’t have to insert your email address in the form’s code. Instead you place it in the script hidden from spammers. Unfortunately it does not stop auto submissions. Anyone can still write a false email address in the email field and submit the form. s more secure than Jack’s form mail. It also allows you to hide your email address in the script and not place it in the form of your web site. It also did not stop form mail spam because anyone can submit it with a false email address. Notifies you of hijacking attempts. Allows you to create multiple forms for any number of web sites. Recently a friend called to say she had received 6000 emails in 6 hours and most of it was spam. She was getting very frustrated because of the time wasted deleting the spam. Have you ever experienced the same frustration?